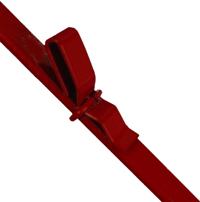 All clip strips are available in our originl flat wire and flat clips as well as in round wire and snap on clip (R). Click here for color information. 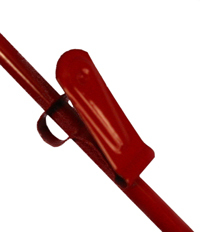 The standard hook is 1" dia. Larger and smaller hooks are available. Custom sizes are available on large orders or with a set up charge. Click here to see some examples.